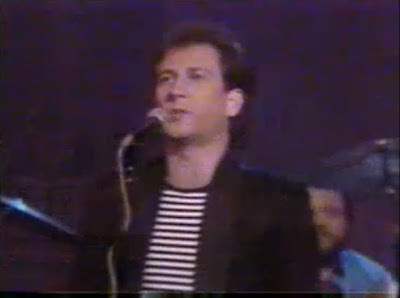 This week on Talking 80s Music, we turn our focus on late rocker Van Stephenson. He burst into the decade with 3 albums earning two big singles ("Modern Day Delilah" and "What The Big Girls Do") before joining country act Blackhawk for the next decade. We played those singles as well as soundtrack songs "Make It Glamorous" and "No Secrets." We were also lucky enough to have Aaron Phillips dig up an old interview he did with Blackhawk in 1994 as they were promoting their debut single. Aaron called in and we talked about that interview. We also talked with Aaron about the timely relaunch of his Totally 80s Online station this week. Great to see him back and see a bunch of people pop in for the show. No technical glitches and if anything, it was one of the quickest post-show edits we've been able to do. If there is one issue with it, it would be the interview quality but that can't be helped. That means, once things start going too well, we have to start worrying or fiddle with new hardware/software.